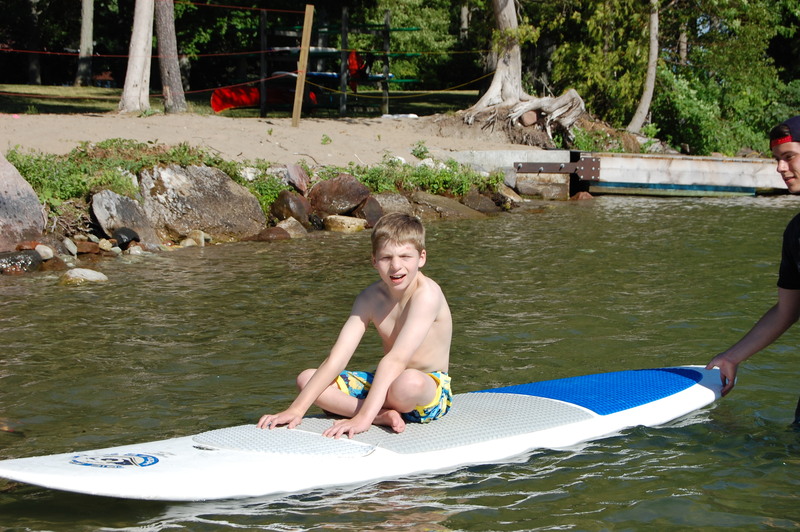 Strive aims to advance each campers level of independence in dressing, grooming, table manners, eating skills; social skills in addition to improving the overall co-ordination, strength, balance and ability to walk, move and function – physically, socially and emotionally. Admission Criteria:This camp experience is designed for children who are fairly independent and are seeking to advance that independence. The decision as to whether a child meets these criteria is made after careful assessment by our Head Conductor in person or by video. Each child will be considered individually. We are all counting down the days for next summer’s session. Please let me know if there is anything in particular you would like Victoria working on thru-out the year. We wish you much success. Please don’t hesitate to give us a call if you need anything. I am a mother of a 7 YO boy with ataxic CP. Mason was a very typical full term baby who met developmental milestones until 12 months old when most children begin to walk Mason was still crawling. Mason began to concern my husband and I when he reached 18 months and would still not walk. After seeing doctors, physical therapy was started once a week for 45 minutes and little gains were made by 24 months. That is when I discovered conductive Ed. When I read they offered 8 hours a day, 5 days a week I was impressed. Then I saw the videos before and after the intensives and was shocked. My son went and did his first intensive with Tunde when he was 2 and left walking with 2 canes. Friends and therapist back home were impressed by his gains. It was the first time I felt someone really knew what my son was capable of and believed in him being independent. This summer we were with Tunde and again we were blown away by Masons gains.. It was a growth all the way around. 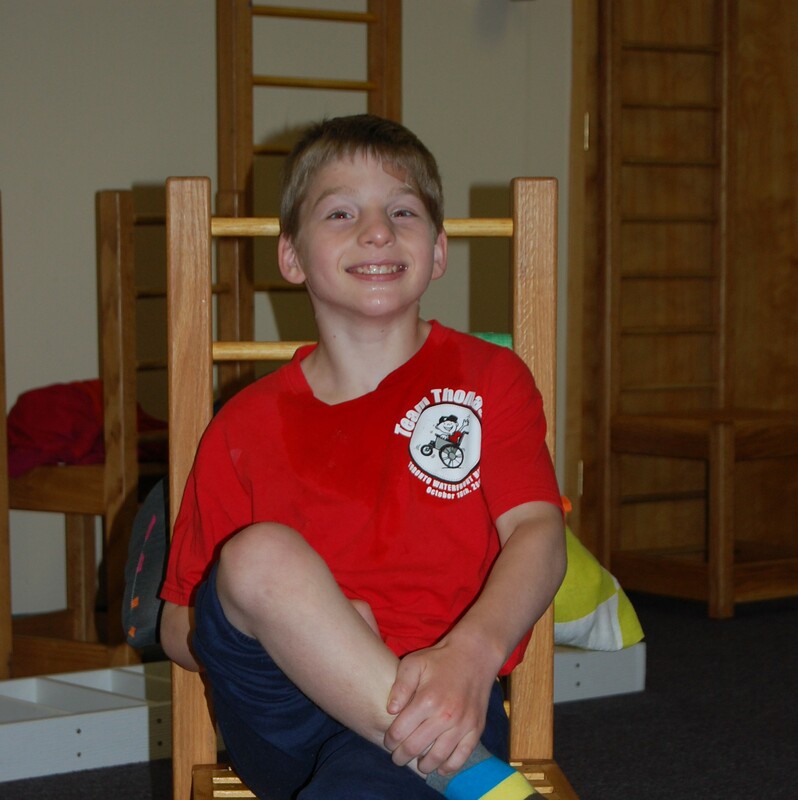 Mason grew in his social skills with his peers and felt confident when speaking up in a group. Mason also became more independent with activities of daily living. Looking at Mason his posture was straighter, he walked quicker and his gait improved.. Mason arrived to camp on 2 canes and falling frequently. By the end of the session Mason was Walking long distances with NO canes. When walking with canes his speed was the fastest I had ever seen and not falling. This is a rare program that offers my son therapy in a fun setting with friends and makes enormous steps to independence. Isn’t our goal for every child to be independent and happy! My name is Nicole Parascand and I am writing this to provide information regarding my 12 year old son Bryce who has Cerebral Palsy. Bryce was born at 26 weeks premature and weighed 2lbs 6 oz on June 17, 1999. Bryce had many complications as an infant and toddler as a result of his prematurity. As the years passed we noticed his delayed physical movements that other children his age should be advancing in such as, holding objects, picking up objects, rolling over, sitting up, crawling, and walking, etc. We decided to get Bryce started in physical therapy here in the states which consisted of 2 days a week for 45 minute sessions. We started this process when Bryce was 3 yrs old, and consistently did this until he was about 7. We saw little improvement and were very frustrated thinking that our only son was expected to do so little, and basically was told he would never be able to walk, and that he would have very little ability to do normal things. I started doing research online on non-traditional therapy resources (according to the states) and came across a site about conductive education. As a parent of a child with a disability I couldn’t sit back and just let the Doctors here tell me what my child could do when I could always see such determination and strength in him that they couldn’t see. We decided to take Bryce to Canada and try this camp that offered conductive education for 10 weeks during the summer. In June of 2007 Bryce was 7 years old and when we took him to this camp he was still not fully potty trained, could not dress himself, could not sit unassisted unless in wheel chair, and could not walk. We had nothing to lose and all hope and faith going into this. Bryce was doing 6 hours of conductive ed a day and within the first week they had him in a K walker learning to stand and move for the first time. They were teaching him during class how to use the toilet with the walker, they were also teaching him how to sit on a chair unassisted at the table to eat a meal, and teaching him listening skills and other life skills he had never been taught. They also have a daily class routine of exercises that the kids follow to teach the brain and the parts of the body that have never been used how to move. After being there for 10 weeks our first time I brought my son home walking in a walker, using the toilet, and having meals with us at our kitchen table for the first time, words cannot describe the happiness our family experienced. Bryces confidence and determination went sky high because he knew how far he had come and was so proud of himself. All the Conductor told us to do was make sure he use his walker every day to keep him moving and my son used that walker the whole school year every single day and he became stronger and stronger. We’ve been attending camp for conductive education now every summer for the 5 week program since 2007, it’s now 2011 and my son has transformed. He’s 12 yrs old now and he is currently in 7th grade in mainstreamed classes with passing grades. He dresses himself, he independently uses bathroom, his fine motor skills have improved tremendously, he uses his walker thru the whole middle school all day long and now is using quad canes in home only and can use canes up and down the stairs. Conductive education changed our lives and I can’t speak for other parents but I’ve seen with my own eyes during camp classes the positive lessons that other families have learned and how much it’s changed their lives. We will continue to go every summer until they won’t let us go because it has become a part of our lives, the bonds that these kids make with each other is unspeakable. They learn, and understand, and celebrate with each others accomplishments. They feel no differences when they are with their peers experiencing the same things as each other. We found our miracle we had always hoped for and it’s called conductive education and our conductors name is Tunde Orovecz she is our miracle worker. Tunde has been our conductor from the beginning and she has always shown belief in our kids which for the first time lets them believe in themselves through her eyes anything is possible. Our family has forever been changed and blessed with the finding of the incredible teacher Tunde and conductive education. Thanks so much for everything this summer with the Strive Learning Centre camp in July. Since Kiera attended she has continued to walk independently around the house and down hallways consistently for the first time. Her balance has improved so much! She is climbing stairs now and is faster than ever with her cane when she needs it. She is so proud of the gains she made and the boost in her confidence is amazing. She is so excited to tell her friends and family about her time at camp and can’t wait to come back next year. Camp was a wonderful experience for her socially and physically. She felt true independence for the first time and both she and I were so surprised at how much she was able to accomplish in the program in four short weeks. Thank you for believing in her and pushing her to be her best. We will continue to work throughout the year and look forward to seeing you next summer! I just wanted to let you know how happy we have been with Haley’s progress. She made tremendous progress this summer at camp and we have been very pleased with the Strive Centre. She has made great strides in her independent living skills. Haley is now almost completely independent in the morning and evenings. She can dress herself, brush her teeth and take care of all her toileting needs. She is able to take many steps independently without the assistance of her canes. She couldn’t have done it without you and the Strive Centre. Your dedication and commitment to our kids in helping them achieve independence is amazing. Keep up the great work!